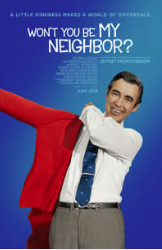 After watching this movie, I realized how connected I am to Fred Rogers. Mister Rogers Neighborhood aired on February 19, 1968, I was born on May 4, 1968; therefore, I spent my developmental years as a child in the early 1970’s watching this television show. I remember that I didn’t see much of my Father as a young child because he worked a lot. Mr. Rogers was my friend, he invited me to be his neighbor, he told me that he loved me, taught me to be kind to others and explained the world around me. Once I was a school age child I still watched the show, but the world began to pull me away from the make-believe world of Mr. Rogers Neighborhood. I suspected that many of my classmates watched this show, but we would not admit it to one another and would make fun of anyone who did. As I became a teen, I remember watching other television shows that differed greatly from Mr. Rogers Neighborhood. One of those television shows was Saturday Night Live. Eddy Murphy did a frequent parody of Mr. Rogers Neighborhood called Mr. Robinson’s Neighborhood in which Mr. Robinson was the exact opposite of Mr. Rogers. During my teenage years and in my 20’s I became much more like Mr. Robinson than Mr. Rogers and forgot the message of love and kindness taught by Mr. Rogers. Fred Rogers Received a B.A. in music from Rollins College (1951). After which he began to work in television programing. Fred Rogers left television programing for a time to pursue his calling in the ministry. He graduated from Pittsburgh Theological Seminary (M.Div.) 1963, 1 year before R. C. Sproul graduated from the same seminary. Fred Rogers was ordained a minister in the Presbyterian church as an evangelist. On April 18, 2018, Sunday Today, the Sunday version of the Today Show, aired a 50th anniversary piece on Fred Rogers. 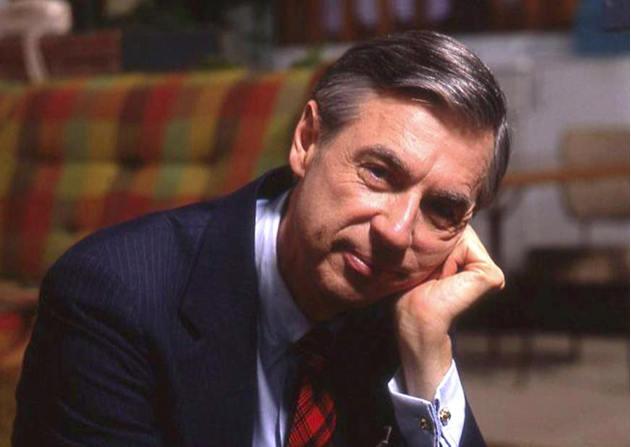 The commentator, Harry Smith said, “Fred Rogers was an ordained Presbyterian Minister, yet there was no proselytizing, no preaching.” I was amazed by that statement because everything that Fred Rogers did and said on Mr. Rogers Neighborhood was proselytizing and preaching. 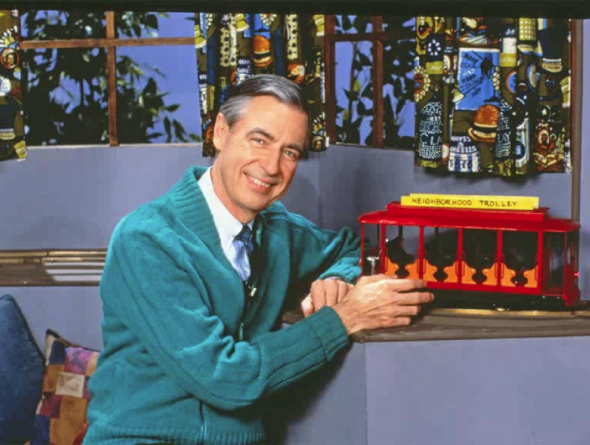 It was not what you as an adult expect when you think of a minister preaching from a pulpit, but Fred Rogers was definently proselytizing and preaching. Fred Rogers ministry was to preschool children; therefore, the theology that he preached was something that a small child could understand. Fred Rogers would invite children to be his neighbor, then teach them to love one another. Fred Rogers made disciples and taught them to observe all that Jesus Christ commanded Him in a way that a preschool child could understand. In the documentary movie, on his death bed, his widow, Joanne Byrd said that Fred asked her shortly before losing consciousness, “Am I a sheep?” A friend of mine who is a much better writer than I wrote a piece about her answer to him in a Gospel Coalition article called: Mister Rogers’s Deathbed Confession. For some reason people love to hate the Gospel Coalition, but I recommend reading it because it is an excellent piece on the gospel. Fred’s question to his bride showed me a little insight into his theology. She said that Fred had been studying the final judgment in Matthew 25:31-46 where the sheep and goats are separated at the judgment on the last day, the sheep to eternal life and the goats to eternal punishment. Fred understood that salvation is a gift, given by the grace of God alone, received through faith alone, in Jesus Christ alone and is for the glory of God alone. Fred like all of us had doubts, have you not questioned your own salvation? I know that I have and often do. Fred’s widow is quoted in the movie saying to him, “If anyone is, you are Fred.” She was saying this to reassure him, because Fred Rogers’s life long fruit indicates that he is a sheep. Wikipedia, accessed July, 9, 2018. cdli:wiki. https://en.wikipedia.org/wiki/Main_Page. Morgan Neville, Won’t You Be My Neighbor, Los Angeles: Tremolo Productions, 2018. 50 Years After ‘Mister Rogers’ Neighborhood’ Premiered, His Legacy Lives on, Sunday TODAY, accessed July, 9, 2018. cdli:wiki. https://youtu.be/Su1GkBXPAso. Jared C. Wilson, Mister Rogers’s Death Bed Confession, The Gospel Coalition. cdli:wiki. https://www.thegospelcoalition.org/blogs/jared-c-wilson/mister-rogerss-deathbed-confession/.